There hasn’t been a lot of losing at Alabama since Nick Saban took over as head coach, especially to the same team. 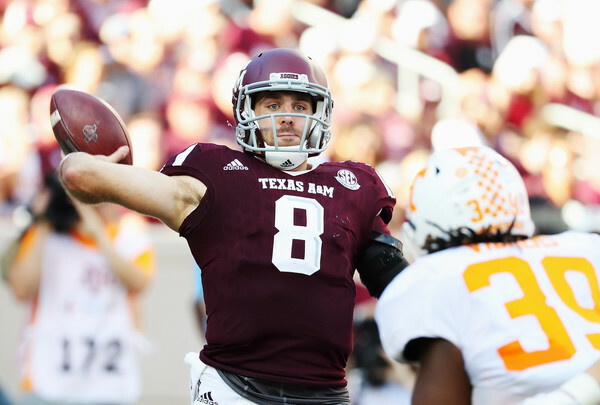 Texas A&M with transfer quarterback Trevor Knight will try to be the first team to beat the Crimson Tide this season, while Knight attempts to become the first starting quarterback to beat Alabama twice. Before we dive deeper: In 2010 and 2011, LSU beat Alabama in the regular season. Jarrett Lee played in both games, but he was only on the field for three series in the 2011 win. Jordan Jefferson was the bigger part of that win in 2011, which had very little to do with offense anyway. In 2014 and 2015 Ole Miss beat Alabama. Bo Wallace played in one of the wins, Chad Kelly in the other. Oklahoma beat Alabama in the Sugar Bowl following the 2013 season, which is when Knight had the chance to beat Saban and Alabama. That Sugar Bowl was special. Alabama were 17.5 point favorites to win the game, but as it often happens with the Tide, not playing for the national championship takes the wind and motivation out of them. They lost to Auburn on a field goal miss and return for a touchdown. Instead of going to the BCS championship game, they had to play for a “lowly” BCS Bowl, way beneath Saban and his players, and not for the first time (Remember Utah?). Oklahoma and Bob Stoops, who holds a special hate inside of him for the SEC and the media that hypes the conference, beat Alabama 45-31, with Knight winning the MVP. It didn’t help Knight and Oklahoma do much better in 2014 (going 8-5) and he even lost his quarterback job to Baker Mayfield. On December 2015 he obtained a full release from his scholarship, and because he graduated from Oklahoma, he didn’t have to wait a year, eligible to play right away for the Aggies after transferring to Texas A&M on January 2016. Heading into their mega game with Alabama, Knight and the Aggies are ranked #6 in the nation, one of the two undefeated teams in the SEC. They were the first team to beat Tennessee and also looked impressive in a big win over Arkansas, which at the time seemed to be like a boxing title eliminator towards the Alabama game, which Arkansas, as expected, have already lost. It’s been four years since the Aggies stunned the nation and beat Alabama, when Johnny Manziel was the hottest thing on the planet, before he became a washed up football player, and now actually a student again. 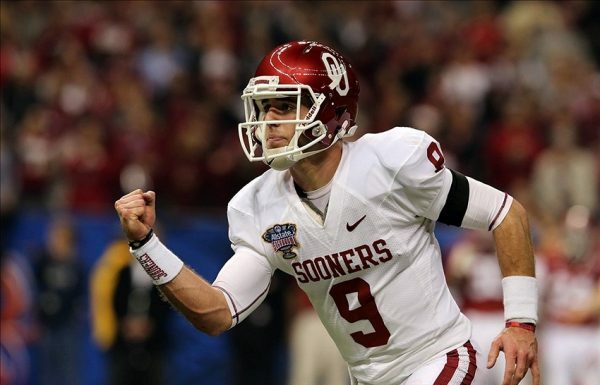 It’s been almost three years since Knight and Oklahoma beat Alabama in New Orleans. It takes more than a quarterback to beat a team as good as the Tide, but the thing is, this is bigger than Knight making some personal achievement. If Texas A&M can’t stop Alabama, it’s very unlikely anyone in the SEC will as they go for a third consecutive SEC championship.